NOTE:- Photography from a public highway, public right of way, including footpaths and bridleways, and from the air is not subject to any restrictions. Q. Where can I take photographs? A. We welcome amateur photography out-of-doors at our properties. We regret that photography is not permitted indoors when houses are open to visitors. The use of mobile phones with built-in cameras is also not permitted indoors. 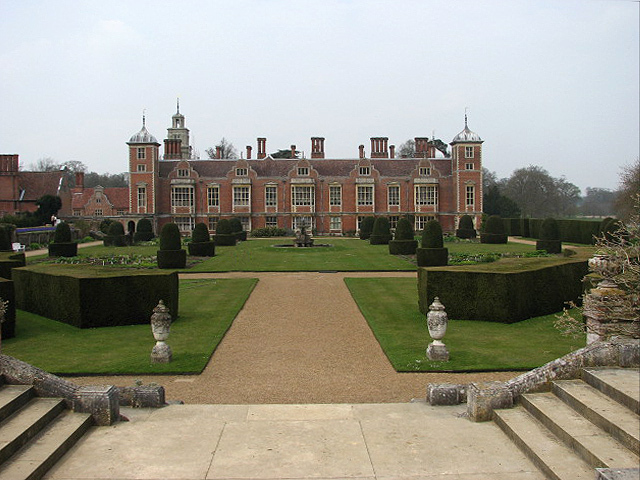 However, at most properties special arrangements can be made for interested amateurs (as well as voluntary National Trust speakers, research students and academics) to take interior photographs by appointment outside normal opening hours. Requests to arrange a mutually convenient appointment must be made in writing to the property concerned. Not all properties are able to offer this facility and those that do may make an admission charge (including Trust members). So from this we can see that they say we can take photographs outside and by arrangement within NT properties. There is a view that the National Trust is not friendly to photographers, and this has come about over a number of years due to a policy they have of restricting the use of photographs taken. What is behind this is that the National Trust owns a picture library and as it derives an income from the sale of pictures of its properties, it is not keen on others being able to offer these. The National Trust however insists that they want to become more photographer friendly and towards these ends are currently in the process of informing all property managers and teams and easing up on some of the commercial restrictions. Being a large organisation this will take some time, but through this summer we should start to hear of less negative experiences and the NT are planning to make a point in the media that they are more photographer friendly as well. The NT considers it a part of its duty to maximise the income return of its assets, and sees the picture library as an asset. This is not greatly different from a number of other charities and organisations who also have their own picture libraries and or restrictions on commercial photography in their properties, without a fee being paid. The difference in the past has been in the way it has been interpreted and implemented. If you go to a WWT centre with an expensive looking camera and very long expensive looking lens or to an English Heritage or CADW site you may get some of the staff showing an interest in what you are using, but I have never heard of anyone being challenged as to what use the photos taken will be put to, or of anyone ever having a form of any type put in front of them. Some people, and we don't really know how often it has occurred, have experienced both at NT properties, being challenged as to what the pictures they are taking will be used for and being asked to sign a form or contract confirming restricted use or rights of the image. I don't know exactly what this says, and the head of the PR department at the National Trust had not seen one himself, when I asked him about it. In many ways it is probably just not well thought-out in that few of us know what we are going to use photographs for when we take them. I would hope in the future, as the practices change, that this will stop, its not either sensible and probably not legally enforceable when handled in this way. The effect in the past has been for the most enthusiastic photographers, having heard of such problems or having experienced it, have decided to avoid NT properties and go elsewhere. The better solution would be for more photographers to join and more of them to put their images into the public domain, making images available for use under Creative Commons licensing. The effect of this could be to help the NT to better define the difference between what can and cannot be done with photographs taken within its properties and make the silly forms obsolete. One of the problems with these forms, is that people are feeling having entered, paid, incurred expense and commitment to get there, they are then put under duress to sign, often without understanding fully what it is all about. Others feels victimised, and treated as a person who has to sign to confirm what they have said. Some have told us they have just left, vowing never to enter a NT property again. The National Trust is a very large organisation with a lot of staff and large turnover, it has for example 47 members of staff earning over £60k a year, so in many ways is the equivalent to any other large commercial organisation. It works closely with, is located in the same road and town as English Heritage, the other large heritage brand, that is a government agency. Eventually as both appear to be running properties for the benefit of the public, using public funds, are membership organisations, and so much more in common they perhaps may merge. However both receiving membership fees, maintaining the two brands may produce more revenue. In addition to the photo library they also sell prints via a commercial site they don't own, and although you can't put your photos in their library, they don't want more photographers or submissions, if you have a website you can get a commission of 10% on print sales by linking to the commercial site. English Heritage also has a picture library, and also markets prints through the same commercial company, and prints are printed at the same printing company. You can see their accounts on the charity commission website. The income from the photo library is not significant and I could not find it even mentioned in the 96 pages of the 2008 accounts (PDF). The receipts shown that came from grants, government agencies and the National Lottery was nearly £22m (page 54). Over £109m came in, in subscriptions. There are also other sources of funds. The value of shares, cash, government bonds etc as at Feb 2008 held was £945million, so they are not poor. Clearly therefore creating and maintaining a monopoly on images of properties is neither a significant part of the NT income and they are not desperate for funds. It is likely that they loose more through their restrictive policy than they make from it, with 25 plus magazines servicing those with a keen interest in photography and video it is the largest of all the specialist leisure interests and alienating a percentage of such a large section of their potential market cannot make financial sense. From the extract from the NT website (shown above) you can see that it says you can 'by arrangement' take photos inside National Trust properties. This is arranged with the individual property and subject to the property being able to fit it in. So to try out this I emailed three of their larger properties where there would be both sufficient staff to handle enquiries and they should have no difficulty in arranging this, asking for details on the cost and availability within July and emailed on the 12th June. 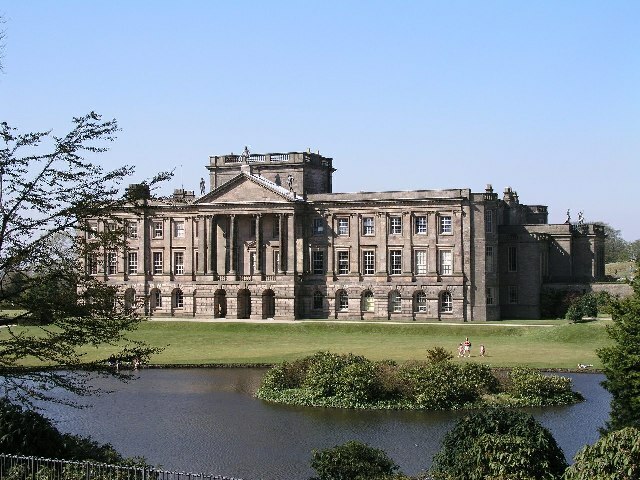 Lyme Park - Replied saying that photography is not possible in the hall, but in special circumstances when part of an academic study something may be arranged and giving another email for those occasions. Emailed this contact, got back a message saying they weren't going to be in until July, I emailed the initial person to respond with this asking for another contact, and was then told nothing could be done before the person replied when they were next in, some when in July - Result therefore it appears that no photography can be arranged at this time. Kedleston Hall - no reply received. Blicking Hall - Got a reply saying photography was possible but usually only allowed for academic purposes, I needed to specify exactly what I wanted to photograph. I responded pointing out NT website page and saying I wanted to visit, tour and take photos and asking for information again on prices etc. Got a reply saying I needed to visit as a paying visitor first and then discuss what I wanted to photograph. I didn't get any more information. I responded asking again for information and asking if photographs could really be taken, plus saying that with the distance I didn't really want to have to make two visits. From the reply I got it is apparent that photography by individual photographers is not something that happens. They referred the enquiry to head office on the 18th, as I had been in touch with the PR department at their head office, I thought this was not likely to provide more useful information. However on the 22nd, I did get a later update, that if I attended one day when the place was open to the public to identify what I wanted to photograph, then I could have a session for up to 2 hours by appointment, with a staff member, when the property was shut to the public for £50, subject to the necessary paperwork being signed before commencement. I still have not been able to get over having to make an extra journey there before, a distance of 221 miles each way, drive time for the round trip around 9 hours, plus the time visiting, or defining before I visit to take photographs what I want to photograph, but progress is perhaps being made. This was all done openly in my own name with full signature block saying who I was, that I was a feature writer and contact information. I did not ask for any assistant or to do anything specific, just to tour and take photos for non commercial use. I feel this was a fair test of what any amateur photographer could expect. The result of this as you can see is that although it appears that no photography is actually routinely undertaken by amateur photographers or photographic enthusiasts and I was not able initially to arrange to take photographs at any of these three properties, with persistence and after referring the enquiry to their head office they did come back with an offer to allow me to take photographs in one place, but with restrictions and conditions that make it difficult. This article was to be published before anyone was available to look at the Lyme Park request further so I don't know, with time and persistence, where this would have eventually lead. So although its not easy or convenient, and you have to be persistent in order to get in, there is just the smallest of chances that I may be able to actually take some photographs in a National Trust property, although it appears that you have to define before the visit what you are going to take. The use of the photographs will still be very restricted. Three is a small number of properties and I did day who I was, so perhaps you may feel this was not a fair test, so a further experiment has been done with ten, acting as a secret customer. I brought back Beatrix Potter (Peter Rabbit fame), who was a major NT supporter leaving 15 farms and 4,000+ acres to them, I gave her an email account. Would she now be welcome to produce stories and sketches based on NT properties, and of course she would want to take some photos to base her drawings on. We put this to the test, and our experiment and results are detailed in the article What would Beatrix Potter think of the National Trust. Its good to see them doing so well, so much public funds being used towards making our heritage available. With 3.56 million members as at February 2008, they are very successful, so its difficult to see why when their title reads 'The National Trust for ever, for everyone' we should feel there should be an asterisk added with a note saying subject to the small print, and that exceptions apply. It may be that they have fallen into the common problem with large organisations of looking inwards, for the benefit of those employed, as opposed to how it meets its objectives. Encouraging more people and sharing the experience, including with photos, and encouraging photographers to take images would far better meet their charitable objectives, than safeguarding such a small percentage of their income that it does not justify a mention in their accounts. We don't know how much revenue would be lost of they just opened it up completely, they could still run their commercial library, but let others take and sell images, or use them for their own use. Its a fairly safe bet that they would increase their membership from photographers keen on getting in and taking the photos that would bring in far more than the percentage of the picture library income they would loose. I came across several staff members that were extremely helpful, and who I felt were doing all that they could to assist me in achieving the objectives. They are working within guidelines that are very restrictive. With new guidelines, that I have been told the National Trust are distributing, and the new 'photographer friendly' attitude they would like to have, it should become possible to take photographs in National Trust properties and in time get the restricted use lifted. Changes we are told are happening, so while at the moment the National Trust is not yet 'photographer friendly' perhaps I will be able to update this in a while to say the National Trust is now photographer friendly, but while they may wish to become, we are going to both use what we are able to get and monitor progress.